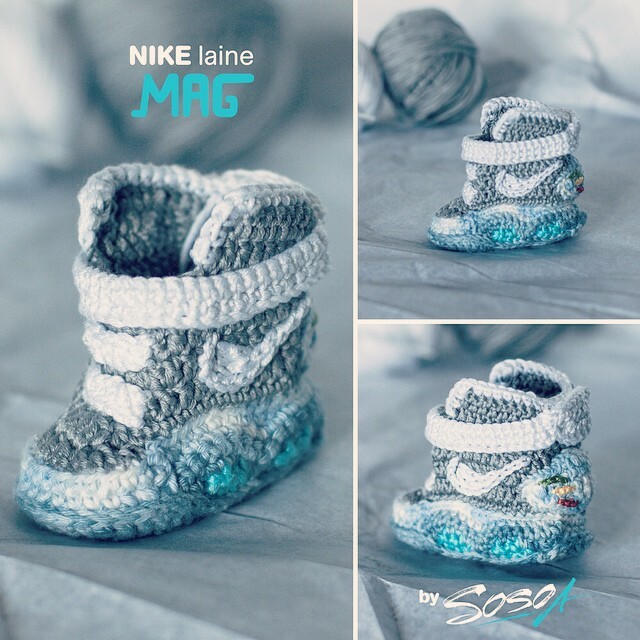 Find out how your baby can get his or her own Mags. Even if the Nike Mag returns next year, there's a good chance that you won't be able to snag a pair for your kid. Hell, there's a good chance that you won't be able to get a pair for yourself. 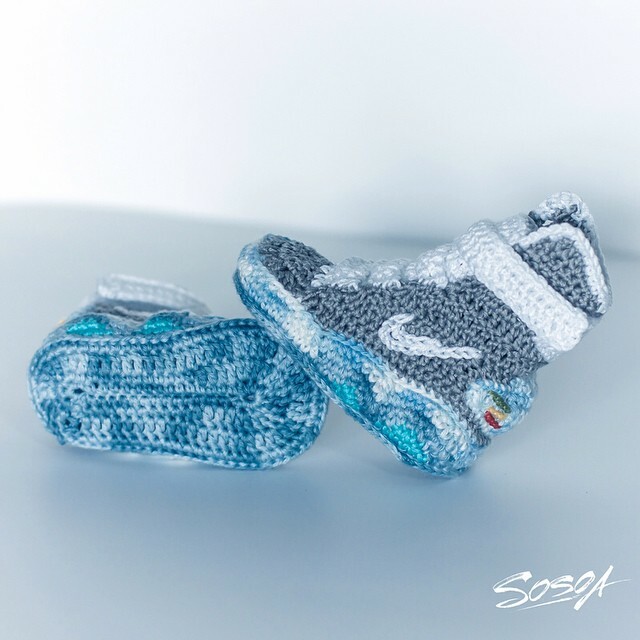 If you'd like to get a jump on things for the little one, crocheter Sosoa has come up with a pretty clever alternative. 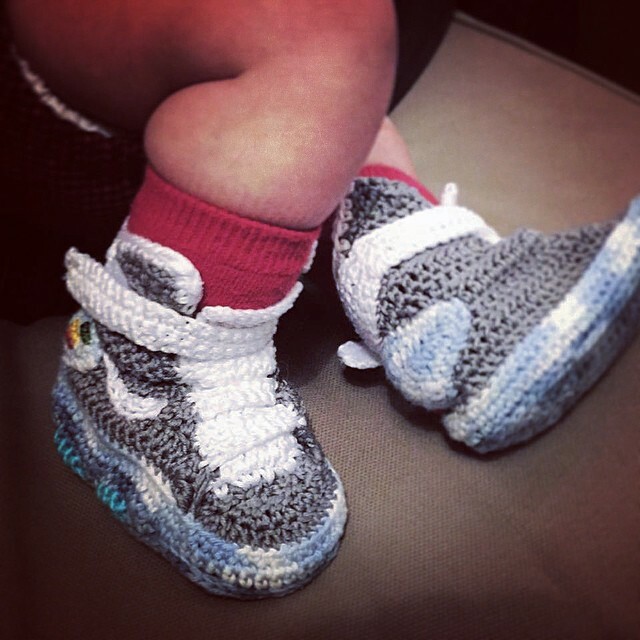 Sosoa has created Mag baby booties, using precise needlework to render the Back to the Future sneaker for crib-dwellers. Down to intricate details like the LED lights and translucent sole. There isn't an automatic lacing system, but maybe that's asking for a little too much. Visit @solenesosoa on Instagram for ordering information.